Our elevator entrance is located on the left side of the church at ground level and adjacent to the parking lot. following the 11:15 am Mass. 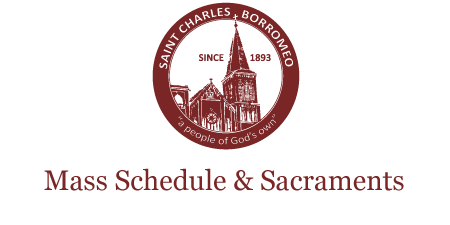 Couples planning a wedding at St. Charles Church should make an appointment at the rectory six months in advance.